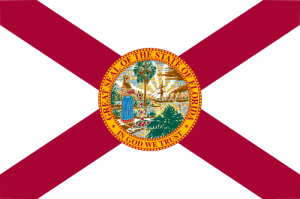 Pray for all the resources and creativity needed to fulfill the intentions of God in the state of Florida. State Information: Called the “Sunshine State,” Florida is known for its balmy, sunny weather and beautiful beaches. Ponce de Leon, in search of the elusive fountain of youth, was the first European to explore Florida. St. Augustine, founded by the Spanish in 1565, is the oldest permanent European settlement in the continental United States. Statehood for Florida came in 1845. Florida’s state flower is the orange blossom, which is particularly fitting because oranges are a main export of the state. Because of its shape and location, a long peninsula between the Atlantic Ocean and the Gulf of Mexico, Florida attracts millions of visitors each year to its many seaside resort areas.